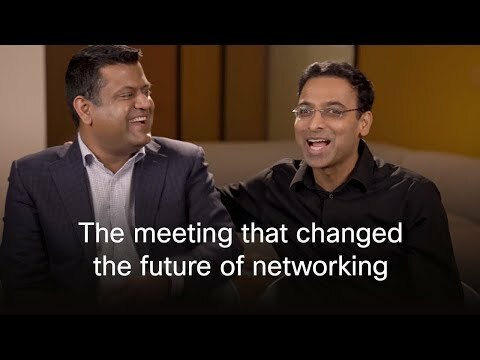 Cisco, the worldwide leader in networking that transforms how people connect, communicate and collaborate, today reported its first quarter results for the period ended October 24, 2015. Cisco reported first quarter revenue of $12.7 billion, net income on a generally accepted accounting principles (GAAP) basis of $2.4 billion or $0.48 per share, and non-GAAP net income of $3.0 billion or $0.59 per share. "Q1 was a very strong quarter. We are accelerating our ability to deliver on growth opportunities, aggressively driving our cloud business, and delivering continued strength in our deferred product revenue, as we sell more of our portfolio in software and cloud models," said Chuck Robbins, Cisco chief executive officer. "We guided to solid growth in Q2. Our guidance reflects lower than expected order growth in Q1, driven largely by the uncertainty of the macro environment and currency impacts. Despite these headwinds, I believe we are executing very well. We are moving very fast to capture new opportunities and I feel good about how we are positioned for the second half of the year." A reconciliation between net income and EPS on a GAAP and non-GAAP basis is provided in the table following the Consolidated Statements of Operations. Supplementary information related to other GAAP and non-GAAP measures is also provided in the tables below. Revenue -- Total revenue was $12.7 billion, up 4%. Product revenue increased by 4% and service revenue increased by 1%. Total revenue by geographic segment was: Americas up 4%, and each of EMEA and APJC up 3%. Product revenue growth was led by Data Center and Collaboration at 24% and 17%, respectively. Wireless and Security each grew 7%, Switching grew 5%, NGN Routing decreased 8%, and Service Provider Video decreased 2%. Gross Margin -- On a non-GAAP basis, total gross margin and product gross margin were 63.2% and 62.3% respectively. The increase in non-GAAP product gross margin as compared to the fourth quarter of fiscal 2015 was driven by continued productivity improvements, partially offset by pricing and to a lesser extent product mix. Non-GAAP service gross margin was 66.2%. Total gross margins by geographic segment were: 63.5% for the Americas, 64.2% for EMEA, and 60.0% for APJC. On a GAAP basis, total gross margin, product gross margin, and service gross margin were at 61.8%, 60.9% and 64.9%, respectively. Operating Expenses -- Non-GAAP operating expenses were $4.1 billion, down 1%, and at 32.7% of revenue. Headcount increased from the fourth quarter of fiscal 2015 by 230 to 72,063, reflecting additional headcount from acquisitions and investments in key growth areas such as security, cloud and software. On a GAAP basis, operating expenses were $4.8 billion, down 5%. Operating Income -- Non-GAAP operating income was $3.9 billion, up 8%, with non-GAAP operating margin at 30.5%. GAAP operating income was $3.1 billion, up 31%, with GAAP operating margin of 24.3%. Provision for Income Taxes -- The non-GAAP tax provision rate was 23.0%. The GAAP tax provision rate was 22.5%. Net Income and EPS -- On a non-GAAP basis, net income was $3.0 billion, an increase of 8%, and EPS was $0.59, an increase of 9%. On a GAAP basis, net income was $2.4 billion and EPS was $0.48. Cash Flow from Operating Activities -- was $2.8 billion an increase of 11% compared with $2.5 billion for the first quarter of fiscal 2015. Cash and Cash Equivalents and Investments -- were $59.1 billion at the end of the first quarter of fiscal 2016, compared with $60.4 billion at the end of fiscal 2015. The total cash and cash equivalents and investments available in the United States at the end of the first quarter of fiscal 2016 was $5.0 billion. Deferred Revenue -- was $15.2 billion, up 10% in total, with deferred product revenue up 16%, driven largely by subscription based and software offerings, and deferred service revenue up 7%. Cisco continued to build a greater mix of recurring revenue as reflected in deferred revenue. Days Sales Outstanding in Accounts Receivable (DSO) -- was 34 days at the end of the first quarter of fiscal 2016, compared to 38 days at the end of the fourth quarter of fiscal 2015. In the first quarter of fiscal 2016, Cisco declared and paid a cash dividend of $0.21 per common share, or $1.1 billion. For the first quarter of fiscal 2016, Cisco repurchased approximately 45 million shares of common stock under its stock repurchase program at an average price of $26.83 per share for an aggregate purchase price of $1.2 billion. As of October 24, 2015, Cisco had repurchased and retired 4.5 billion shares of Cisco common stock at an average price of $20.92 per share for an aggregate purchase price of approximately $93.9 billion since the inception of the stock repurchase program. The remaining authorized amount for stock repurchases under this program is approximately $3.1 billion with no termination date. "We delivered a strong first quarter as we executed on our financial model of driving profitable growth, managing our portfolio and delivering shareholder value," said Kelly Kramer, Cisco executive vice president and chief financial officer. "Despite a challenging environment, we are executing very well and making the right investments that position us for future growth. We are continuing our commitment to shareholders as we returned $2.3 billion of our free cash flow back through dividends and share repurchases in Q1." During the first quarter of fiscal 2016, Cisco completed the acquisitions of OpenDNS, MaintenanceNet, and Pawaa Software to further complement its security, services, software, and cloud offerings. These moves are consistent with Cisco's strategy of increasing innovation and R&D investment in growth areas. Cisco also recently announced the acquisitions of Portcullis, ParStream, Lancope, and 1 Mainstream in the security, data analytics and video areas, all of which are expected to close in the second quarter of fiscal 2016. In the fourth quarter of fiscal 2015, Cisco announced an agreement to sell the Client Premises Equipment portion of its Service Provider Video Connected Devices business (CPE business) to Technicolor. The transaction is currently going through regulatory approval and Cisco is working to close it during the second quarter of fiscal 2016. In order to provide a clear view of Cisco's continuing expected financial performance, the guidance for the second quarter of fiscal 2016 is normalized to exclude the CPE business for both the second quarter of fiscal 2016 and the second quarter of fiscal 2015. The corresponding revenue in the second quarter of fiscal 2015 for the CPE business was $361 million. The non-GAAP tax provision rate does not include any effects of a potential reinstatement of the U.S. federal R&D tax credit. If the U.S. federal R&D tax credit is reinstated, Cisco would reflect that benefit in the effective tax rate. Share-based compensation expense is expected to impact Cisco's results of operations in similar proportions as the first quarter of fiscal 2016. Amortization of purchased intangible assets, and other acquisition-related/divestiture costs will be reported as GAAP operating expenses, cost of sales, or other income/(loss) as applicable. The range for restructuring and other charges includes a pretax charge of up to $100 million as a result of the restructuring that Cisco announced in August 2014. During the first quarter of fiscal 2016, Cisco recognized pretax restructuring charges of $141 million to the GAAP financial statements related to these actions and expects that the total charges related to these actions will be approximately $700 million for this plan. Except as noted above, this guidance does not include the effects of the divestiture of the CPE business, and any future acquisitions/divestitures, asset impairments, restructurings, and tax or other events, which may or may not be significant unless specifically stated. Q1 fiscal year 2016 conference call to discuss Cisco's results along with its business outlook will be held on Thursday, November 12, 2015 at 1:30 p.m. Pacific Time. Conference call number is 1-888-848-6507 (United States) or 1-212-519-0847 (international). Conference call replay will be available from 4:00 p.m. Pacific Time, November 12, 2015 to 4:00 p.m. Pacific Time, November 20, 2015 at 1-800-835-5808 (United States) or 1-203-369-3353 (international). The replay will also be available via webcast from November 12, 2015 through January 15, 2016 on the Cisco Investor Relations website at http://investor.cisco.com. Additional information regarding Cisco's financials, as well as a webcast of the conference call with visuals designed to guide participants through the call, will be available at 1:30 p.m. Pacific Time, November 12, 2015. Text of the conference call's prepared remarks will be available within 24 hours of completion of the call. The webcast will include both the prepared remarks and the question-and-answer session. This information, along with the GAAP to non-GAAP reconciliation information, will be available on the Cisco Investor Relations website at http://investor.cisco.com. This release may be deemed to contain forward-looking statements, which are subject to the safe harbor provisions of the Private Securities Litigation Reform Act of 1995. These forward-looking statements include, among other things, statements regarding future events (such as our ability to accelerate on growth opportunities, deliver profitable growth and deliver continued strength in our deferred product revenue, our strategy to drive our cloud business and to transition to software and cloud models, the impact of the macro environment and currency exchange rates on our performance, our financial strength and financial guidance, and our ability to manage our portfolio and strategic investments, and return shareholder value) and the future financial performance of Cisco that involve risks and uncertainties. Readers are cautioned that these forward-looking statements are only predictions and may differ materially from actual future events or results due to a variety of factors, including: business and economic conditions and growth trends in the networking industry, our customer markets and various geographic regions; global economic conditions and uncertainties in the geopolitical environment; overall information technology spending; the growth and evolution of the Internet and levels of capital spending on Internet-based systems; variations in customer demand for products and services, including sales to the service provider market and other customer markets; the return on our investments in certain priorities, including our foundational priorities, and in certain geographical locations; the timing of orders and manufacturing and customer lead times; changes in customer order patterns or customer mix; insufficient, excess or obsolete inventory; variability of component costs; variations in sales channels, product costs or mix of products sold; our ability to successfully acquire businesses and technologies and to successfully integrate and operate these acquired businesses and technologies; our ability to achieve expected benefits of our partnerships; increased competition in our product and service markets, including the data center; dependence on the introduction and market acceptance of new product offerings and standards; rapid technological and market change; manufacturing and sourcing risks; product defects and returns; litigation involving patents, intellectual property, antitrust, shareholder and other matters, and governmental investigations; natural catastrophic events; a pandemic or epidemic; our ability to achieve the benefits anticipated from our investments in sales, engineering, service, marketing and manufacturing activities; our ability to recruit and retain key personnel; our ability to manage financial risk, and to manage expenses during economic downturns; risks related to the global nature of our operations, including our operations in emerging markets; currency fluctuations and other international factors; changes in provision for income taxes, including changes in tax laws and regulations or adverse outcomes resulting from examinations of our income tax returns; potential volatility in operating results; and other factors listed in Cisco's most recent report on Form 10-K filed on September 8, 2015. The financial information contained in this release should be read in conjunction with the consolidated financial statements and notes thereto included in Cisco's most recent report on Form 10-K as it may be amended from time to time. Cisco's results of operations for the three months ended October 24, 2015 are not necessarily indicative of Cisco's operating results for any future periods. Any projections in this release are based on limited information currently available to Cisco, which is subject to change. Although any such projections and the factors influencing them will likely change, Cisco will not necessarily update the information, since Cisco will only provide guidance at certain points during the year. Such information speaks only as of the date of this release. This release includes non-GAAP net income, non-GAAP gross margins, non-GAAP operating expenses, non-GAAP operating income and margin, non-GAAP effective tax rates, non-GAAP net income per share data, non-GAAP inventory turns and free cash flow for the periods presented. It also includes future estimated ranges for gross margin, operating margin, tax provision rate and EPS on a non-GAAP basis. Cisco believes that the presentation of non-GAAP measures when shown in conjunction with the corresponding GAAP measures, provides useful information to investors and management regarding financial and business trends relating to its financial condition and its historical and projected results of operations. In addition, Cisco believes that the presentation of non-GAAP inventory turns provides useful information to investors and management regarding financial and business trends relating to inventory management based on the operating activities of the periods presented. Cisco believes that the presentation of free cash flow, which it defines as the net cash provided by operating activities less cash used to acquire property and equipment, to be a liquidity measure that provides useful information to management and investors because of its intent to return a stated percentage of free cash flow to shareholders in the form of dividends and stock repurchases. Cisco further regards free cash flow as a useful measure because it reflects cash that can be used to, among other things, invest in its business, make strategic acquisitions, repurchase common stock, and pay dividends on its common stock, after deducting capital investments. For its internal budgeting process, Cisco's management uses financial statements that do not include, when applicable, share-based compensation expense, amortization of acquisition-related intangible assets, impact to cost of sales from purchase accounting adjustments to inventory, acquisition-related/divestiture costs, significant asset impairments and restructurings, significant litigation and other contingencies, the income tax effects of the foregoing, and significant tax matters. Cisco's management also uses the foregoing non-GAAP measures, in addition to the corresponding GAAP measures, in reviewing the financial results of Cisco. In prior periods, Cisco has excluded other items that it no longer excludes for purposes of its non-GAAP financial measures. From time to time in the future there may be other items that Cisco may exclude for purposes of its internal budgeting process and in reviewing its financial results. For additional information on the items excluded by Cisco from one or more of its non-GAAP financial measures, refer to the Form 8-K regarding this release furnished today to the Securities and Exchange Commission. Copyright © 2015 Cisco and/or its affiliates. All rights reserved. Cisco and the Cisco logo are trademarks or registered trademarks of Cisco and/or its affiliates in the U.S. and other countries. To view a list of Cisco trademarks, go to: www.cisco.com/go/trademarks. Third-party trademarks mentioned in this document are the property of their respective owners. The use of the word partner does not imply a partnership relationship between Cisco and any other company. This document is Cisco Public Information.